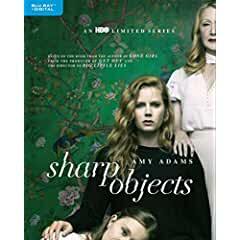 Bring home Sharp Objects today as the eight-episode limited series, based on Gillian Flynn’s (Gone Girl) bestselling novel of the same name, is now available for Digital Download, and comes to Blu-ray™ and DVD on November 27th. Starring five-time Oscar®-nominee Amy Adams (Arrival), the “haunting and riveting” (The Hollywood Reporter) series is directed by Jean-Marc Vallée (HBO’s “Big Little Lies”) and created by Marti Noxon (“Dietland”). The Digital Download, Blu-ray™ and DVD will include an exclusive*, never-before-seen feature showcasing the creation of the fictional town of Wind Gap. *Extra content is included only with participating partners.